The Economics Department is pleased announce two new hires, Natalia Lazzati and Kristian Lopez Vargas. 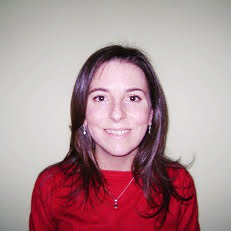 We are pleased to welcome Assistant Professor Natalia Lazzati, who is joining the department July 2015. Natalia Lazzati arrives with considerable scholarly experience and expertise in microeconomic theory, econometrics, industrial organization and experimental and behavioral economics. Most recently, Natalia will have served as an assistant professor at the University of Michigan and as a visiting scholar at UC Berkeley and Stanford University. Natalia earned her Ph.D. and M.A. in economics from the University of Arizona in 2011 and 2007 respectively. She also conducted M.Sc. coursework in applied statistics at the Universidad Nacional de Rosario, Argentina, where she completed her bachelors degree. She has published her research in the Journal of Economic Theory, Games and Economic Behavior, Economic Theory, Economics Letters and Quantitative Economics. The work includes contributions to high theory (of supermodularity or monotone comparative statics) together with a variety of applications of that theory. In 2015-16 Natalia will be teaching Econ 100A Intermediate Microeconomics and Econ 204A Advanced Microeconomic Theory in fall. 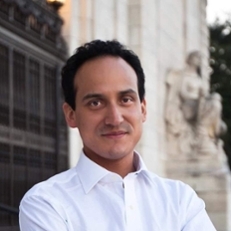 We are also pleased to welcome Assistant Professor Kristian Lopez Vargas, who is joining the department in July 2015. Kristian completed his Ph.D. in economics at the University of Maryland at College Park in 2015. As Fulbright Scholar, Kristian earned his M.Sc. in economics from Texas A&M University in 2009. He studied for his B.S. in economics with honors at the the Pontifica Universidad Catolica in Peru. Kristian's primary research concentrates on behavioral economics, experimental economics and microeconomic theory. His secondary field of research explores applied microeconomics. Kristian’s dissertation research (and job market presentation) focuses on the interplay of two aspects of human motivation that previous economic researchers had usually considered separately: risk attitudes and social preferences. His "Multi-Object Auctions and Resale: Theory and Experiment" research paper is published in Games and Economic Behavior. In 2015-16 Kristian will be teaching Econ 100A Intermediate Microeconomics in fall and winter, and Econ 270 Advanced Topics in Applied Microeconomics in winter.